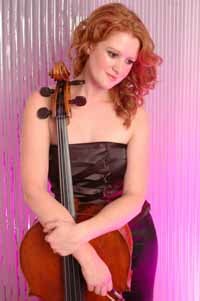 Fans of classical music may be interested to know that renowned Cellist Jane Oliver's video for the composition 'Cirque d'Enigmes' from her new album has been filmed in Portmeirion. The piece has some reverberance with the main theme of 'The Prisoner' and Jane herself adds the "secret agent" touch by being filmed scouring the Village looking for a message hidden in quarters around the site. She wears a light turquoise dress, very similar in colour to Portmeirion's railings, etc! You might catch it on Classic FM Sky 464, or click HERE to watch the first 30 seconds of the video! Thanks to Roger Goodman for this news item.